My name is Crofton Brierley. 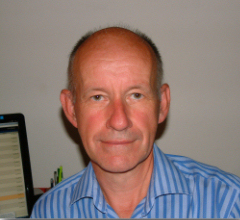 I am an experienced tutor in Physics, Chemistry and Biology both at GCSE and A level. I also teach Maths at GCSE. I am a graduate of University College, Oxford where I read Biochemistry in 1975. I have A levels in Chemistry, Biology, Physics and Maths and am familiar with all the major syllabuses in these subjects. Having worked for over 15 years as a private tutor, I am able to tailor my lessons to the individual needs of the learner. Read more ...My wide knowledge of all the sciences enables me to explain the processes behind complex concepts, thereby helping the student to grasp the more advanced areas of their particular syllabus. Exam success has resulted for many students through intensive one-to-one sessions, especially through coaching in exam technique by systematically doing past papers followed by intensive analysis of answers with the mark scheme. It goes without saying that the learner's commitment to self-study and thorough revision is a key factor in achieving good results. For this reason the student should be prepared to commit to at least one hour of home work each week. I teach three one hour sessions every weekday evening and for two hours most Saturday mornings. I also teach during the day where possible (for instance where students have free periods). Due to the limited after school hours I rarely have time to travel any more. Also teaching from my home means that I have all the resources I need readily to hand, especially a large screen computer and fast printer so that exam questions and homework can be quickly printed relevant to the work covered during each session. This means there can be, if required, great flexibility in the topics covered at each session according to the students needs. After many years of experience I have found this to be the most beneficial technique for tuition as it means the student is free to guide the lesson without feeling constrained by a rigid lesson plan prepared in advance. I have helped many students to achieve the grade they need for admission to their chosen University course, including helping many students into Medical and Veterinary College where A grades in Chemistry are mandatory. I have been a tutor to students at most local schools including Campion, Sponne, NSB, Northampton School for Girls, Northampton High School, Daventry Tertiary College and Wellingborough School as well as schools in Milton Keynes, Buckingham and Rugby, I am experienced in the syllabus of all the major exam boards including OCR, Edexcel and AQA. Many students start lessons with a private tutor after having been disappointed with their first year results and stay on through to their A level exams, often improving their grades by two or three places. This works well on the basis of one hour's tuition a week and at least one hour homework. Before becoming a self employed tutor and technical consultant, I worked as an industrial research scientist in Electronic materials and Bioelectronics at the Plessey Research centre and then as a Department head (Nanotechnology Sensors) with GEC Marconi in Materials Technology until 2001. I am the lead author of many scientific papers and patents. I also work as a consultant to the DTI and EC in Medical/physics research. I am passionate about helping students to understand the importance of science in the modern world and in understanding how a degree in science can lead to the most rewarding of careers. With my previous experience in interviewing prospective job applicants and sourcing funding for research and development I am able to help candidates at A level to present their strengths in university applications and to discuss possible progression routes. Crofton lives in Pattishall near Towcester, Northampton and can be contacted at 01327 830770 or 07966 541611 or by email using the contact form. The charge for all science tuition is £35 per hour payable after each session. There is no charge for missed sessions.